In their latest essay in the influential Rome-based Jesuit journal La Civiltà Cattolica, the authors argue that the prosperity gospel, which traces its origins to the Unites States in the late 19th-century, views wealth and success as synonymous with true religious conviction, and consequently, sees “poverty, sickness and unhappiness” as a lack of faith. 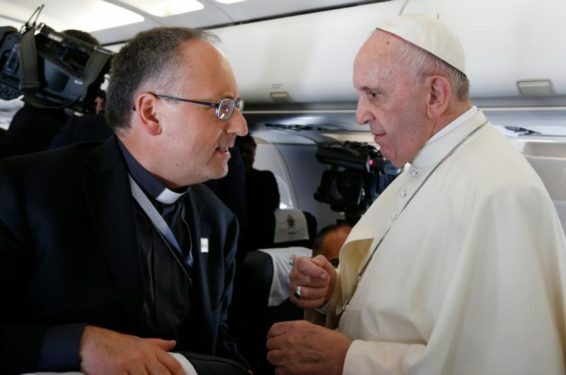 Father Spadaro, who is Italian, and Rev. Figueroa, an Argentinian, chronicle the global embrace of the prosperity gospel movement, which has swept across Asia, Africa, and Latin America. In their essay, however, the two specifically identify its origins in the United States, where the American Dream – the idea that the country is a place of “open opportunity” where migrants can pursue the prospect of success in ways “unreachable in their old world” – has been translated into religious belief, defined by affluence. An emphasis on economic well-being and health, along with a limiting of the Holy Spirit to one’s individual desires, have distorted the fullness of the Christian, the authors argue, while at the same time acknowledging a massive appeal that has attracted millions of American believers led by the likes of Kenneth Copeland, Pat Robertson, Benny Hinn, Joel Osteen, and Joyce Meyer – all popular televangelists and authors in the U.S. who serve as luminaries of the prosperity gospel movement, and who are dubbed as “evangelicals of the American Dream” by Father Spadaro and Rev. Figueroa. “Generally, the fact that there are riches and material benefits falls once again on the exclusive responsibility of the believer, and consequently so too their poverty or lack of goods,” they write. “Material victory places the believer in a position of pride due to the power of their ‘faith.’ On the contrary, poverty hits them with a blow that is unbearable for two reasons: first, the person thinks their faith is unable to move the providential hands of God; second, their miserable situation is a divine imposition, a relentless punishment to be accepted in submission,” they continue. A consequence of the prosperity gospel’s entanglement in the idea of the American Dream, according to Father Spadaro and Rev. Figueroa, is that the economic success of the United States has been viewed as a direct result of its faith. Such a view, they believe, “exasperates individualism and knocks down the sense of solidarity.” In particular, Father Spadaro and Rev. Figueroa identify the consequences that such a belief system yields when responding to marginalized individuals or communities. “Sad and disastrous events, including natural ones, or tragedies such as those of migrants and others in similar situations do not offer winning narratives that help to keep the faithful tied to the thought of the prosperity gospel,” they argue. Since his election in 2013, Pope Francis has routinely criticized a theology of prosperity, emphasizing that salvation is given, rather than something that is derived from material success or prosperity. “The vision of faith offered by the prosperity gospel is a clear contradiction to the concept of a humanity marked by sin with a need for eschatological salvation, tied to Jesus Christ as savior and not to the success of its own works,” they write. In concluding their piece, Father Spadaro and Rev. Figueroa lament the corrosive influence of the prosperity gospel on the American Dream, which they describe as a “positive and enlightening prophecy … that has inspired many.” In particular, they point to the legendary address of Civil Rights crusader Martin Luther King whose “I have a dream” speech offered an alternative vision marked by “social, inclusive, and revolutionary content,” and a stark contrast from the vision popularized by today’s televangelists. Although not an official publication of the Vatican, La Civiltà Cattolica is reviewed by the Vatican’s Secretary of State before publication, and under Father Spadaro, who serves as its editor-in-chief, it has been considered one of the foremost vehicles for understanding the views of the current pontificate.